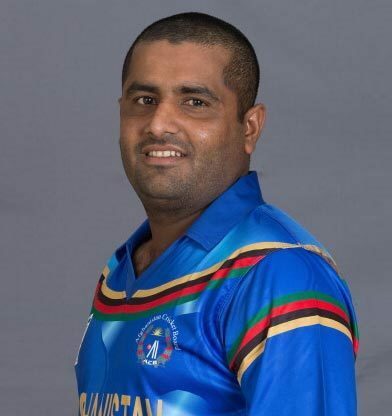 Mohammad Shahzad Mohammadi (born 31 January 1988) is an Afghan cricketer who is a right-handed batsman who plays primarily as a wicketkeeper. Shahzad represents Afghanistan in international cricket. Known as a hard big hitter for the ball, Shahzad has the most number of Twenty20 International Player of the match awards by an associate member with 10 T20I Player of the match awards, and holds the record for the most scores of 50 or more in T20I by an associate player as well. He is the highest run scorer for all associate nations. With 118 not out against Zimbabwe on 10 January 2016, Shahzad recorded the second highest individual score from an Associate nation in T20Is and sixth highest of all time. He also entered the ICC's top 10 batsmen in T20I cricket in eighth place, following his performance. Shahzad played in the 2009 ICC World Cup Qualifiers, where Afghanistan gained ODI status. In August 2009, Shazad made his first-class debut against a Zimbabwe XI. 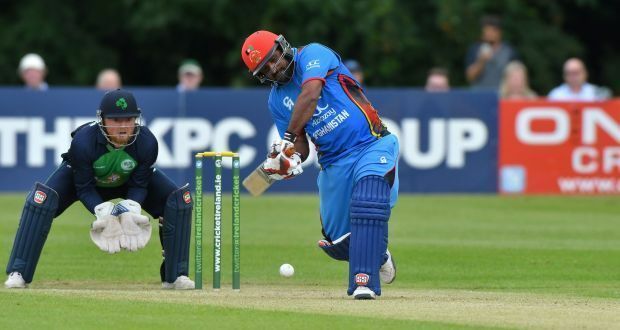 During Afghanistan's tour to the Netherlands in 2009, Shahzad made Afghan cricketing history by becoming the first Afghan to score a century in a One Day International match, scoring 110 runs as Afghanistan won the match by 6 wickets. 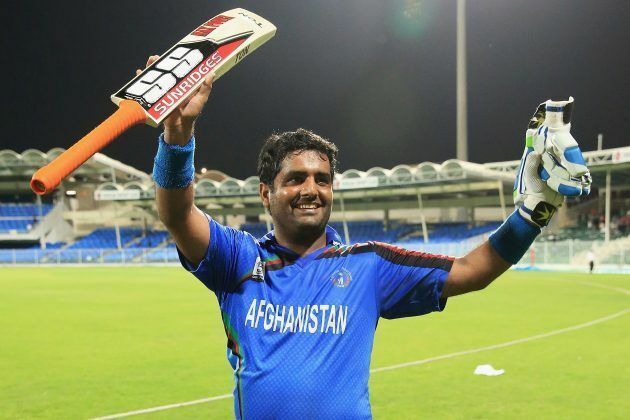 In January 2010, Shahzad played a key role in Afghanistan's win over Ireland, with scores of 88 in Afghanistan's first-innings and an unbeaten 42 to lead Afghanistan to a 7 wicket victory. In February 2010, Shahzad made his Twenty20 International debut against Ireland, which Afghanistan lost by 5 wickets. 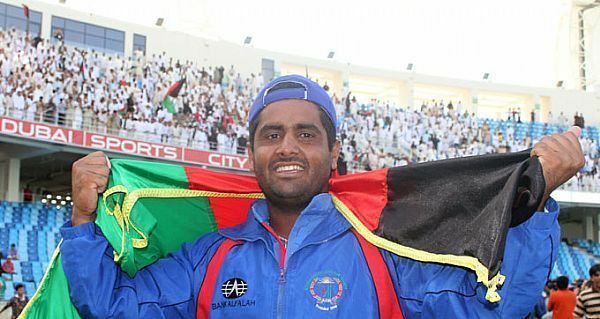 Later in February, aged 18, Shahzad became the first Afghan to score a first-class double century when he scored 214* in Afghanistan's successful chase of 494 runs to beat Canada in the Intercontinental Cup. Shahzad was a key member of Afghanistan's World Twenty20 Qualifier winning team. He was later named in Afghanistan's squad for the 2010 ICC World Twenty20. Shahzad was a member of Afghanistan's 2010 ACC Trophy Elite winning squad, which defeated Nepal in the final by 95 runs. During the 2012 ICC World Twenty20, he played in both of Afghanistan's matches against India and South Africa. In January 2012, he played in a side made up of some of the leading players from Associate and Affiliate teams, which was put together to face England in Dubai. The three-day match was part of England's preparation for a series against Pakistan later that month. 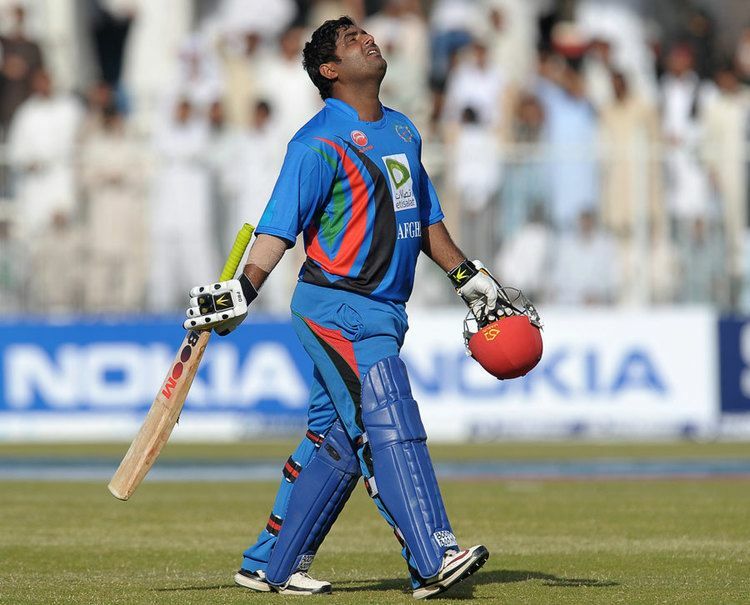 Along with Mohammad Nabi and Hameed Hasan, Shahzad was one of three Afghanistan players included in the 12-man squad. During the match, he made two half century scores, which saw him become the first Afghan cricketer (excluding Salim Durani, who although born in Kabul, was Indian) to make 1,000 first-class career runs. He is also the first Afghan cricketer to pass 1,000 runs in List A cricket. He set the record for the most number of dismissals as a wicketkeeper in a single T20I innings(5) and also set the new record for becoming the first wicketkeeper from any team to involve in 5 dismissals in a T20I. During Zimbabwe tour in 2016, Shahzad scored the best innings of his life. With his magnificent century of 118 off 68, Shahzad has the most number of Twenty20 International Player of the match awards by an affiliate member with 8 T20I Player of the match awards. His score is currently the second highest T20I score by an associate player, after Hong Kong Babar Hayat's 122 runs. On 8 March 2016, Shahzad became the first associate player to score 10 fifty plus scores in T20Is. With his 50 against Scotland in a group match of 2016 ICC World Twenty20, he achieved his 10th T20I score more than fifty. This is twice more than the next highest among players from associate teams (Stephan Myburgh & Paul Stirling has 5 fifty plus scores). In April 2016, he scored his fourth first-class century to win the man of the match award in Afghanistan's Intercontinental Cup fixture against Namibia. On 13th April 2017, Shahzad has been charged by the ICC for violating the anti-doping code. After testing his sample on 17 January 2017 at ICCA Academy in Dubai, it was found to contain a prohibited substance, Clenbuterol. Therefore, he was provisionally suspended 12 days after issuing the notice of charges being laid on April 26 2017. 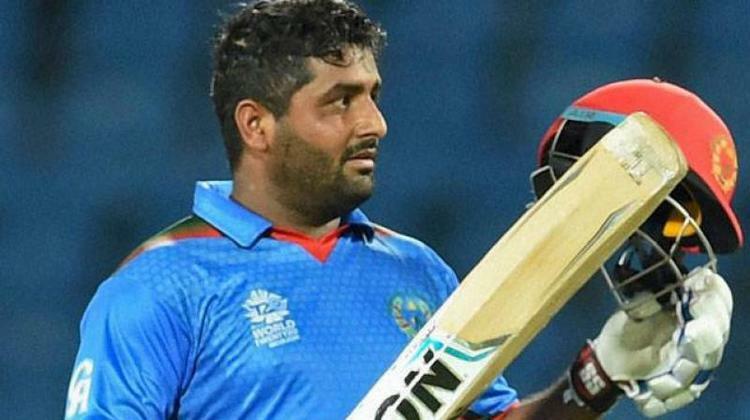 On 30 April 2017, ICC confirmed the provisional suspension of Mohammad Shahzad. 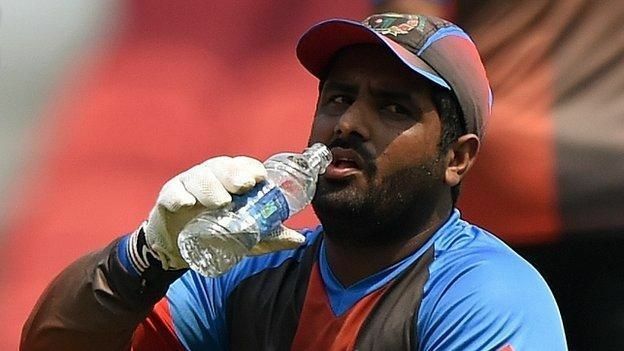 Shahzad decided not to challenge the provisional suspension and will now have to face disciplinary proceeding in accordance with the process set down in the ICC Anti-Doping Code. Highest Twenty20 Individual score by an Afghan in Twenty20 Internationals - scored 118* against Zimbabwe. Only Afghani player to score centuries in both ODI and T20I.Also the only Afghani player to score a T20I century. Second highest Twenty20 International score by an Associate nation. Sixth highest Twenty20 International score of all time. Most sixes in career of Twenty20 Internationals by an Associate nation - 61 sixes. Most scores of 50 or more in T20I by an Associate nation - 11 fifty plus scores. Highest run scorer in Twenty20 Internationals by an Associate nation - Shahzad has scored 1779 in 58 matches. He is 4th of all-time list. His 118* is the third highest T20I score by a wicketkeeper batsman in an innings.He's also only the third wicketkeeper batsman to score a century in a T20I innings. He holds the record for the highest T20I score as a wicketkeeper opening batsman in T20I history.